Almost 1200 people from Italy and Poland attended the Citizens’ Dialogue on the future of Europe, called ‘Learning from the past, understandding the future’, which took place at the Jagiellonian University in Kraków. The audience was composed of a group of several hundred young people from Italy participating in the ‘Train of Remembrance’ project, whose aim is to preserve the memory of the Holocaust, and more than 400 Poles. The ‘Learning from the past’ part was devoted to the testimonies of two Italians and one Pole saved from the Holocaust. The sisters Andra and Tatiana Bucci and Lidia Maksymowicz shared their memories of World War II and the concentration camp AuschwitzBirkenau. ‘In your young hands lies the future of this world. Do not let anything that happened in Auschwitz ever happen again!’ they said. During the second part of the Dialogue, titled ‘Understanding the future’, the main topic discussed was: what role should the experience from the turbulent history of the continent play in building an open, friendly and tolerant Europe. The First Vice-President pointed out that in order to pay tribute to the millions of people who died during World War II, it would be necessary to trace the chain of events that led to it. Everything starts with words and hate speech, which is also very common today. 'Hate is a powerful tool for politicians. If we want to honour the 6 million victims, we have to see that it all started with words. Look at our society today'. Participants commented that EU citizens tend to forgot what a united Europe means and all the benefits we have thanks to it. They also stressed that in many European countries we can observe strong anti-EU movements, and wanted to know what the EU is doing to tackle hate speech and fake news. According to the First Vice-President, nationalists and populists are good at destroying things. ‘I think that there is more to be gained by reforming the EU, than by destroying it.’. He added that the European Commission is preparing various types of proposals to respond to hate and false information spreading in traditional and social media. Participant asked whether Brexit can be stopped somehow. 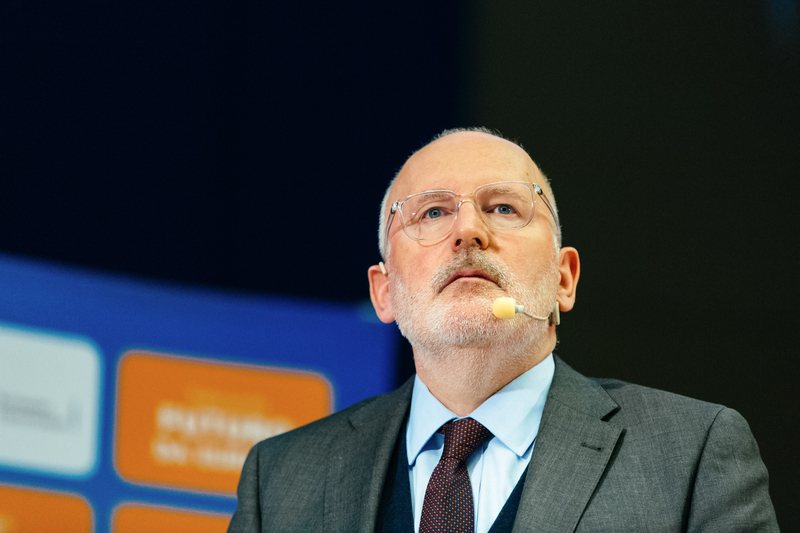 ’We all respect the sovereign decision of the British people to leave the EU, but if they decided to reconsider, we would be very happy.’ Frans Timmermans declared. Also migration and the refugee crisis were an issue. ‘There is the absolute duty of rescuing those who are in danger of drowning at sea. We must not remain indifferent. Otherwise we come back to what has happened 70 years ago.’ Enrico Rossi, the President of the Tuscany Region said. The First Vice-President mentioned Paweł Adamowicz, the former Mayor of Gdańsk, who was stabbed on 13 January during a public appearance, saying that he was an open man who knew that hate can not be answered with hate. 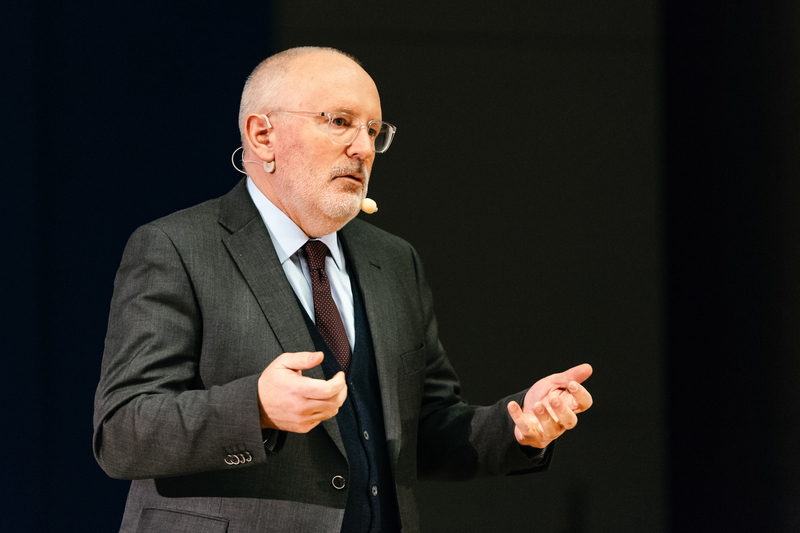 Frans Timmermans noted that for the first time in the elections of the European Parliament citizens born in the new millennium will vote. He encouraged people to be active and remember the lesson from the past. It was particularly important for many participants to know what could be done before the European elections to strengthen the pro-European forces. A young participant asked the First VicePresident why people should follow him.